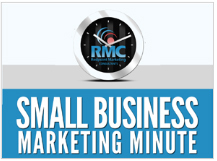 What does an award-winning craft beer have to do with small business marketing? 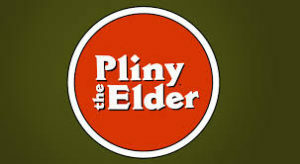 Well, if the beer happens to be Pliney the Elder from the Russian River Brewing Company, it makes for a great case study about how to use scarcity marketing to drive up demand for your products or services. Scarcity marketing is when you motivate people to buy something (or buy more of something, or buy it sooner than they otherwise would have) by creating a scarcity of it. The most commonly used example would be the “limited time only” offer or sale that many businesses frequently advertise. In the case of the Pliney the Elder beer, what happened was that as it started winning awards (it’s won the title of best beer in America from the American Homebrewer’s association for seven years in a row), the demand for the beer increased dramatically, but the production volume couldn’t keep up with the demand. The result was that it became almost impossible for people to get their hands on a bottle of this beer. As it became harder and harder to find the beer, when people did run across it they wanted to buy it in larger quantities since they didn’t know how long it would be before they could get more. This, of course, drove up the demand even more. Beer stores soon started limiting people to one six-pack or even one bottle of the beer per customer. That’s when things really started to get crazy. People would literally stand in line on the days when the shipments of the beer were due to arrive at a store to make sure they got their bottle. Some people even started following the beer delivery trucks from store to store so they could buy more of it, which led to the beer being delivered in unmarked trucks in some cases. All of this basically cemented the beer’s legendary status. It really didn’t even matter what the beer tasted like; people just talked about it because of how hard it was to get, which of course just made people want it more. Now, unless you sell an addictive substance, you will probably not be able to create that kind of demand for your products or services. However, with a little bit of creativity you can still use scarcity marketing effectively. In my most recent episode of my podcast, I give you some ideas about how to do this, as well as some examples of how I’ve used scarcity marketing in my own business. Use the player below to listen to the episode, and subscribe to the podcast to get future episodes as soon as they are published.